Update v8.20 for Fortnite adds banana, coconut, and chilli consumables, turns the ground into lava, and more! Read the latest patch notes here. 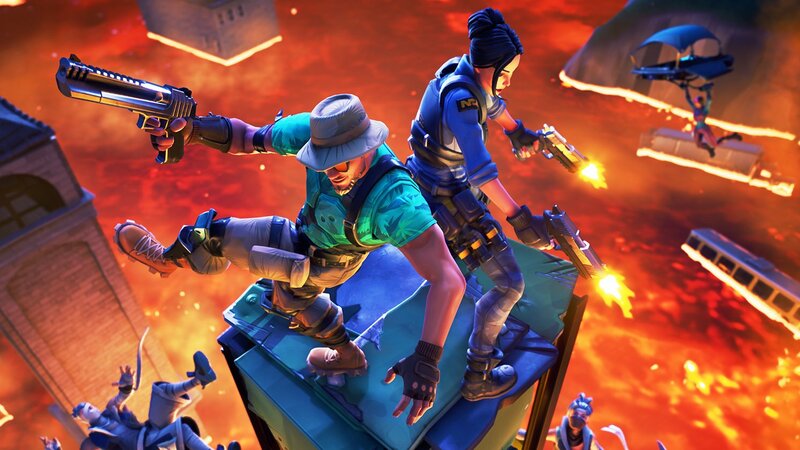 Fortnite’s update v8.20 patch notes are now live and they bring with them a whole lot of heat. The ground is heating up and your mouths will be burning thanks to a new Limited Time Mode and some new consumables. Also included in this batch of notes are some alterations to the Baller, an important update to the Infantry Rifle, and a new type of trap. First off, let’s talk about this new Limited Time Mode. Called the Floor is Lava, you should immediately be able to envision the kind of cataclysmic styling this entails. Shortly after the match begins, lava will begin rising up. The fire will consume everything in its path until the entire map is covered in magma. Because it’s obviously going to be difficult acquiring materials when everything is submerged in a hellish inferno, materials will be trickling into your pockets. Oddly, the lava is safe to build on, so use that to your advantage when trying to survive. The Baller has received a bit of a combat update. The Baller has been a fantastic addition to Fortnite: Battle Royale and this latest patch looks to tweak it a little. 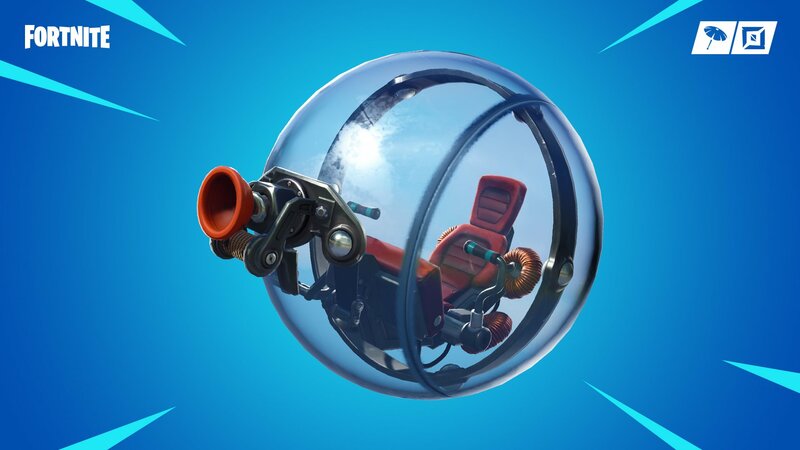 The hamster-ball vehicle will no longer damage a player you smack into but the knock-back will still be applied. To further help the end-game stages, the Baller’s glass parts can now be shot through. Be careful when trying to use it for protection, it’s not as sturdy as it once was. The Infantry Rifle has also undergone a change with this update. It no longer fires projectile bullets, it now offers hitscan functionality, bringing it more in-line with other assault rifle types. To offset this obvious power boost, the damage has been reduced. You’ll no doubt want to spend some time practicing with the rifle as it will have a different feel now that it’s been converted to hitscan. 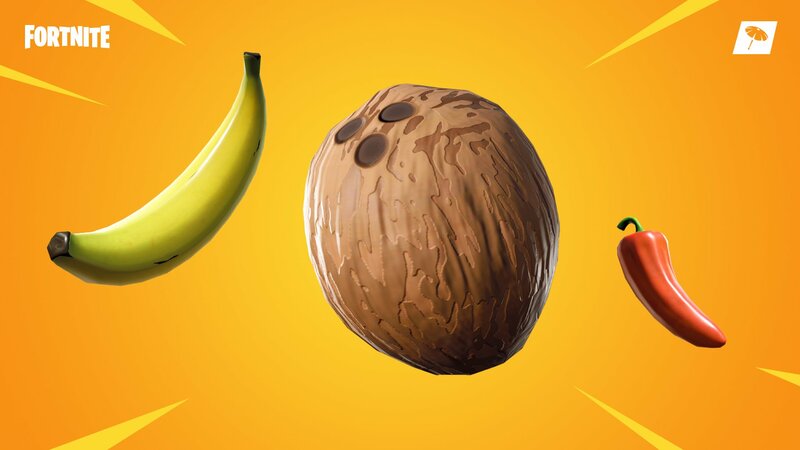 Get more variety in your Fortnite diet with bananas, coconuts, and chilis! A few new items are being introduced in the form of poison dart traps and consumables. The poison dart trap deals damage-over-time to any player hit by a dart. This should help apply a lot of pressure, as dealing with on-going damage can be stressful. As for the banana, coconut, and chilli, these three items affect you differently. Bananas heal you instantly, coconuts heal health or shields over a short time, and peppers grant health and increases your movement speed by 20% for a short while. You can read the full Fortnite patch notes for update v8.20 on the Epic Games site. Remember to keep it locked to Shacknews for the latest Fortnite news and challenge guides!